Most people, after working with their computer for awhile, would like to add some major accessories: a disk drive, a printer, or more RAM memory. This can be a difficult decision. Which one should you buy first? And, after that's decided, how do you select the best model? Here are some guidelines which might help you to clarify your needs. Whether they know it or not, personal computer enthusiasts and amateur photographers have a lot in common. After they acquire their shiny new equipment, they quickly start wondering what accessories they should buy. Shutterbugs: "Should I get a wide-angle lens first, or a telephoto? Or maybe a strobe?" Computerists: "Should I get a disk drive first, or a printer? Or maybe a modem?" Along the way, the shutterbug learns that a good lens can cost more than the camera, and the computerist discovers that a disk drive can cost more than the computer. Such is life. Some people can afford to equip themselves with complete systems from the beginning. For the rest of us who were born with polystyrene spoons in our mouths, choices must be made. Should I buy that new peripheral this month, or make the mortgage payment? Obviously, in a situation such as this, the only sensible choice is to buy the peripheral. But which one? The typical dilemma faced by many newcomers to personal computing is whether to add a disk drive first or a printer. Others grow hungry for more memory. Still others want to let their computers talk to the world outside and wonder if they can make use of a modem. This last group should see "A Buyer's Guide To Modems" elsewhere in this issue. 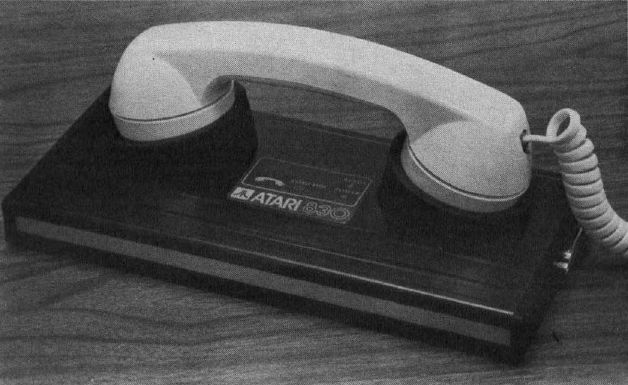 A typical acoustic-coupled modem for linking computers over telephone lines. Before buying any peripheral, you should first evaluate exactly what it is you want to do with your computer. Then you can decide if the peripheral will help accomplish it or not. This might sound elementary, but it's surprising how many people wander around computer stores with no clear idea about what they want from a gadget. For example, one purchaser of a $1,000 computer got upset recently when he learned that no simple, plug-in system of home-control equipment was available yet for his machine. "What good is a computer if it can't talk to the outside world?" he demanded. "What else is a computer for?" You would think that someone investing $1,000 in a computer would take the time to insure that the accessories he wanted were available. But he didn't. What's more, the application this man had in mind was to hook up his computer to his garage door opener so it would automatically open for him when he came home from work every day at 5:30 - an application more suited to a $15 timer than a $1,000 computer. This sort of mistake, though on a less obvious scale, is committed by people all the time. So the key is to identify your application, then narrow down your alternatives. For typical home computing – game-playing, simple home budgeting, educational uses for children, average programming, and just plain fooling around – you may not need a disk drive or a printer at all. A cassette-based system is fine for all these applications. Cassettes are cheap, rugged, can store lots of information, and are generally reliable. With most computers they can store both programs and data files. The main problem with cassettes, of course, is that they're slow. It can easily require five or ten minutes to load or save a program that could be handled by a disk drive in seconds. How valuable is your time to you? A little waiting may be worth saving the cost of a disk drive – $400 to $600. But don't forget that a disk drive is more than just a fast cassette machine. Disk drives can open up new avenues of computing. Certain programs are available only on disk – sophisticated games, business-type software, whole new languages. In addition, disks differ from tapes in another very important way: disks are random access devices while tapes are limited to sequential access. To find a certain piece of data in the middle of a cassette, you (or the computer) must search through all the intervening tape. 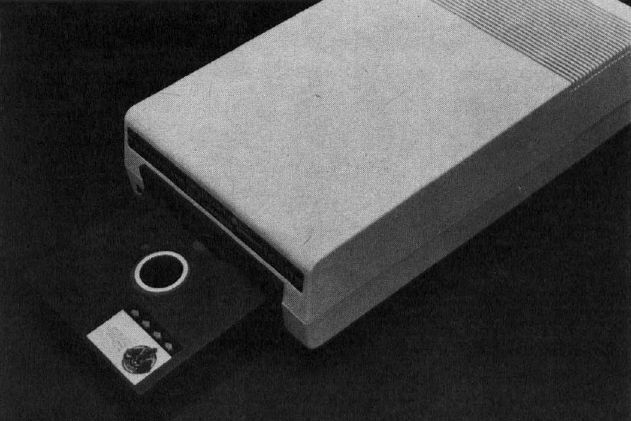 However, the read/write head of a disk drive can be directed by the computer to access the exact spot on the disk where the information is stored. Anything you want is only seconds away. Add a 2040 disk drive to a 16K PET, for example, and it's almost like adding about 340K to your RAM memory. A good analogy is that of records and tapes with a stereo system. To find a certain song on a tape, you must manipulate the fast-forward and rewind buttons until you zero in on the right spot. Some cassette decks have automatic search systems which do this much faster than you can, but they still do it the same way – searching sequentially through the tape until they sense the "dead spot" before the target song. But with a record, you can lift the tone arm, skip all the intervening songs, and set it down on just the right band. This is how the read/write head of a disk drive works. A 5 1/4" disk drive permits very fast, random access of programs and data. Random access makes it much easier to maintain data bases and other programs which regularly update information. You can quickly retrieve one record from a large data file, edit or review it, and put it back again. A cassette version might require you to retrieve the entire file, make your changes or additions, and then re-SAVE the whole file. While there's no denying the convenience and flexibility of a disk drive, you must balance it against the cost and consider whether your application really justifies it. For instance, if you're interested in word processing at home, a disk drive will be a great help, but may not be strictly necessary. You might be able to get by with a cassette-based word processor and save your money for a printer instead; buying a disk later. If you do decide to buy a disk drive, selecting which one to buy probably won't be a problem. For many computers there is only one model to choose from, the one sold by the computer manufacturer. If an independent company makes a disk drive for your computer, make sure it is fully compatible, and ask whether disks recorded on the manufacturer's drive will work on the independent drive and vice versa. Sometimes the formats or Disk Operating Systems (DOS) are different and the disks are not interchangeable. This may or may not be important to you. You might also have a choice between single-density and double-density drives, or between single and dual drives. A double-density drive costs more, but stores twice as much data on a disk than a single-density drive, which cuts your costs in half for the disks themselves. Double-density also puts that much more "disk memory" immediately available to access by a program. A dual drive (two drives in one housing) speeds up disk duplicating, file copying, and backups, and is indispensable for many business applications. The most common applications for printers are word processing and program listings. It's important to pin down your application as much as possible, because that will largely determine what type of printer you should buy. For word processing, a printer is essential. You may be able to get by without a disk drive for casual word processing, but the whole point is to get printed output. Furthermore, you'll need an 80-column printer. The next question usually faced is whether to buy a dot matrix or a letter quality printer. Dot matrix printers form their characters with very small, tightly grouped dots. The more tightly grouped the dots, the easier the characters are to read. Thus, a printer with a 9×9 matrix will generally print more legibly than a printer with a 7×7 matrix. Some printers have double-strike or emphasized modes; after printing a character, the printhead backs up a fraction of an inch and prints it again, filling in the gaps between the dots. This can produce highly legible type (the Atari program listings in COMPUTE! are examples of emphasized printing). An 80-column dot matrix printer. 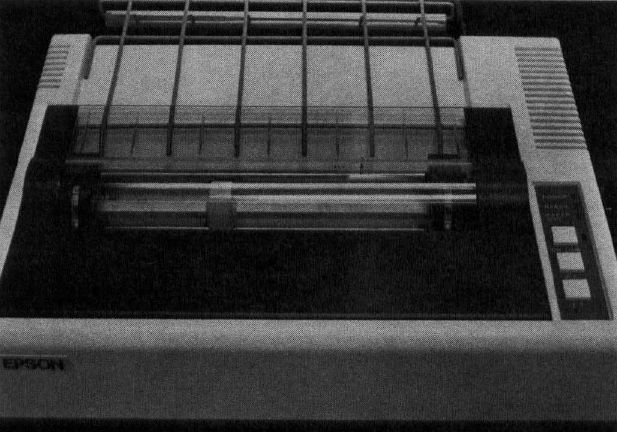 An example of a 40-column dot matrix printer. Another thing to check for when looking at dot matrix printers is whether the lowercase characters have true descenders. The descender is that part of a "y" or "g" or "," and similar characters which dips below the type line. Some dot matrix printers lack a large enough matrix to print descenders. Instead, the character is printed slightly higher so the descender does not actually dip below the type line. Typographical studies have shown that true descenders are easier to read. But you can often save some money by doing without them. Letter-quality printers, on the other hand, form their characters the same way typewriters do: by striking the paper with a fully formed typeface. But unlike typewriters, almost all letter-quality printers use something called a daisy wheel. This is just a metal or plastic wheel with "petals," like a daisy, on which the characters are impressed. The wheel rotates to position the correct petal in front of the striker. This is faster and more efficient than the individual striking arms on typewriters, and the daisy wheels are interchangeable for switching character sets. Daisy wheels are similar in concept to the striking balls on IBM Selectric typewriters. Daisy-wheel printers produce the highest-quality type, but also cost more than dot matrix printers – usually much more. Dot matrix type, especially the emphasized style, is becoming more acceptable, but some word processing applications demand nothing less than letter-quality type. Be absolutely certain what you need before investing in a printer. One other difference is speed. A daisy-wheel is often slower than a dot matrix printer. Speed is calculated in CPS (Characters Per Second). An average daisy-wheel printer might have 12 to 25 CPS where a dot matrix would print at, say, 50-80 CPS. At an average of six letters per word and 225 words per typed, double-spaced 8½ × 11" page, you can calculate low long it would take to print a normal page. Divide the CPS figure given in the manufacturer's specifications into 1350. That gives you a rough estimate of the number of seconds it will take to print out an average page. At 25 CPS, the page would take 54 seconds. For program listings, dot matrix type is almost universally acceptable, since the only people interested in looking at listings are computerists, who are accustomed to it. If you have no interest in word processing, you might also find that a 40-column, instead of an 80-column, printer is adequate. The price difference used to be wider, but recently the prices of 80-column printers have been dropping, so they are becoming more popular. For even greater economy, you can also consider thermal printers. Instead of using ink, thermal printers "burn" their characters onto heat-sensitive paper. This is the same silvery paper used by some printing calculators, and it costs more than rolls of plain white paper. But the printers are cheaper – and, incidentally, quieter – than dot matrix devices. The large 132-column printers are mainly for business users who need financial data printed out in many columns, and on special forms. Rarely would a home user need a 132-column printer. Some 80-column printers have condensed type modes which can squeeze 132 columns on a standard sheet of paper. Of course, the typical home computerist may find that he can put off buying a printer for now. Printers do come in handy for serious programming, however (especially when debugging); it's nice to get printed output from some programs; and word processing can open up entire new vistas. It's easier to determine if you need more memory than it is to decide whether you should buy a disk drive or a printer. If you can hardly write a program without bumping into "ERROR – OUT OF MEMORY," then you probably need more memory. Luckily, the price of memory chips has been dropping more dramatically than almost anything else in the past ten years. But how much do you really need? 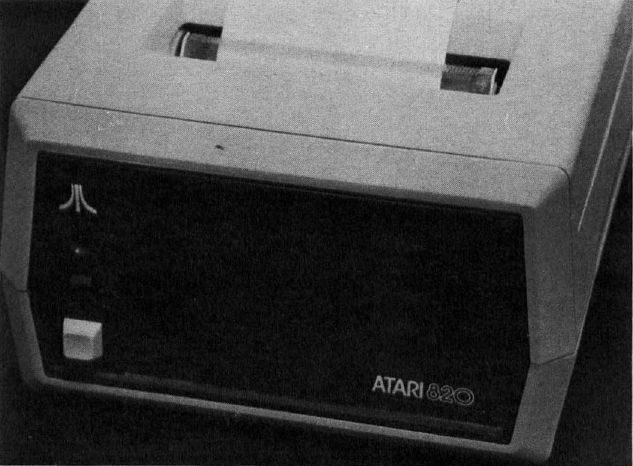 Most personal computers these days are expandable to 32K or 48K of Random Access Memory (RAM), where 1K = 1024 bytes, or characters. You'll need the full amount if you're running sophisticated programs or disk-based languages. Word processing and high-resolution graphics also need lots of memory. The best guide here is to consider how often memory has proven to be the limiting factor, and then buy what you need. Comparison-shopping for memory is quite different than for printers and disk drives. Generally, the only "features" to compare are the amount of memory and the price. Memory chips do vary somewhat in quality, but for the most part, they either work or they don't. Memory test programs are available for many computers so you can check this out. Memory is less prone to require servicing than are disk drives and printers, which depend on many precisely fitted moving parts. About the only maintenance a memory board needs is occasional cleaning of the contacts – if it's a plug-in board you can reach – although rarely a chip will work lose. You might even consider whether it would be worth it to you to invest in a memory board with gold-plated contacts, which conduct better and corrode less than tin-plated contacts. Some memory board manufacturers claim superior screen clarity for their products. Sometimes extra memory overburdens the computer's power supply, which can degrade screen quality. Improper installation, dirty contacts, and increased Radio Frequency (RF) interference are other causes of screen problems. It is possible that low quality components or a poorly assembled board can affect screen clarity, so if this concerns you, investigate the product, read reviews, and get opinions, before buying. Whatever peripherals or accessories you decide to buy, evaluate them as carefully (or more carefully) as you did your computer. Peripherals determine the "personality" of your system.